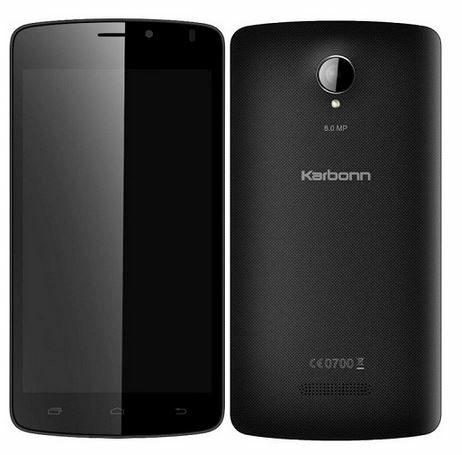 Karbonn is launching another smartphone with quad core processor and running on Android Kitkat 4.4. The device comes after Karbonn launched their Android One device called the Karbonn Sparkle V which also runs on Android Kitkat. Karbonn titanium S 10 comes with a 5 inch IPS Display having resolution of 1280 x 720 pixels which is made available via Snapdeal. The device has Quad core processor and clocks 1.3 GHz, and it has 1 GB of RAM which is pretty good for the processor at hand. Storage space for Karbonn titanium S 10 has an internal memory of 4 GB which can be expanded upto 32 GB using MicroSD card. The devices sports an 8MP rear or primary camera along with LED Flash and the front camera is a 2MP camera. The rear camera has Video recording with HD and the front camera can be used for Video Calling on Skype or any such applications. The device runs on Android Kitkat 4.4 operating system which ocmes out of the box which makes it a competitor of devices like Intex Aqua Style Pro which are with similar specifications and also come with a quad core processor and run on Android Kitkat, these devices are in direct competition with Android One platform devices but we have no clue about the Android L update to these device but for Android One devices will be the first to receive Android L update. Coming back to Titanium S 10 it supports 3G, WiFi, Bluetooth 4.0 which means that it can be paired with Wearable devices and also has GPS support. The battery running this device is a 1,850 mAh battery which is decent enough for for getting good amount of talktime and browsing time for the device. It is being priced at Rs. 7,990 available on Snapdeal which is a good competitor to devices which are priced similarly and run on Android Kitkat and if you are looking for a device in this budget range of Rs. 6000 to Rs. 8000 with decent specs and running on Android Kitkat then this is a good choice because of the 8MP camera which is not present on other devices in this price range. There is also the Red Mi 1S from Xiaomi and Moto E in this price range.